The Criminal Court has granted eight days to two Special Operations officers arrested during the State of Emergency in February to hire legal representation. 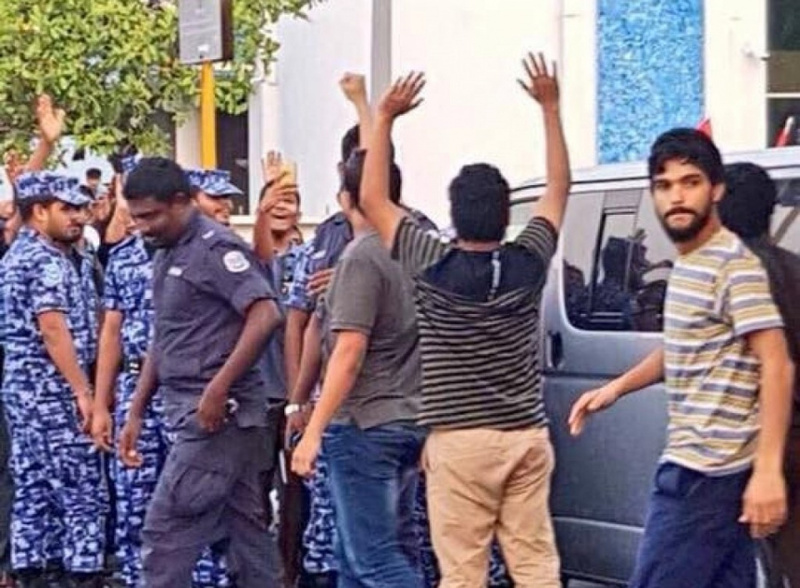 The court granted the two disgraced SO officers Ali Rishwan Ahmed and Hassan Nasheer eight days to hire legal representation during their preliminary hearings at the court this Monday. The two former SO officers have been pressed with four charges; taking inappropriate action in executing official duties, obstructing a law enforcement officer, obstruction of law, and taking action detrimental to interest of society as a whole. Ahmed Naushad acted as leading State prosecutor during the separate preliminary hearings held for both the defendants. Rishwan and Nasheer are accused of taking to the streets with a group of other police officers while on duty and pushing aside barricades put up by police officers to keep the protestors at bay on February 1. They are accused of committing an unlawful act despite being police officers, destroying the peace, deliberately obstructing the law and obstructing law enforcement officers and committing acts at public venues which created fear among public. The judge granted two temporary orders at the request of the State. Both defendants said they wanted to proceed with the trial with legal assistance. And the judge gave them until 2 pm on June 19 to hire attorneys. Concluding the preliminary hearings, the judge said the court will hear the defendants’ response to the charges against them during the next hearing.